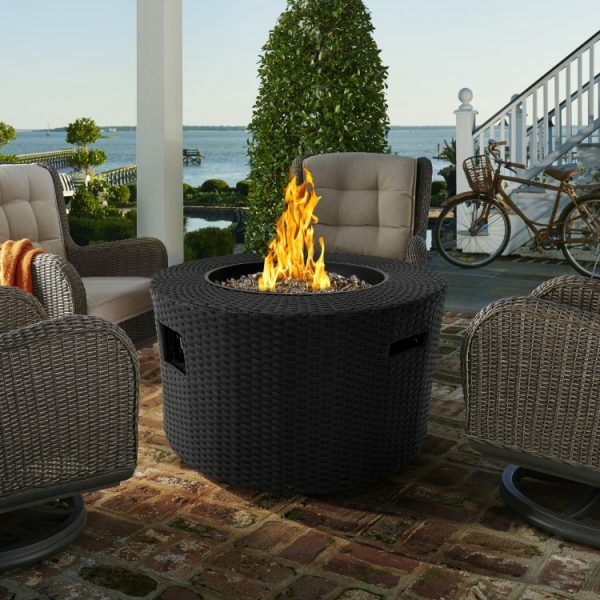 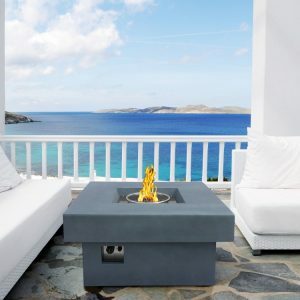 The Moon outdoor patio fire pit is an exquisite addition to any modern household patio. 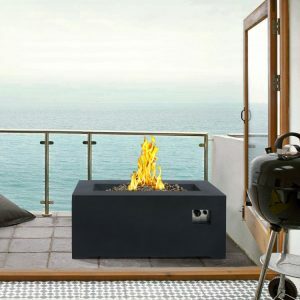 This cylindrical fire pit is gas operated, allowing for use with propane and features an easy spark ignition mechanism. 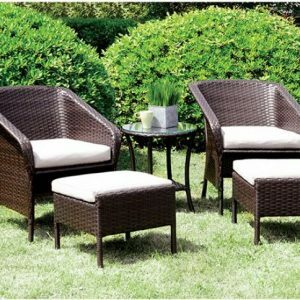 Combining durable stainless steel construction with the contemporary beauty of wicker and a natural texture finish, the Moon is a terrific choice. 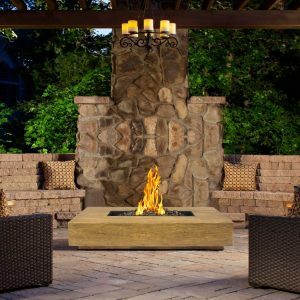 An added knob allows for flame height regulation and the inlaid handles on the side of the fire pit allow for easy transport. 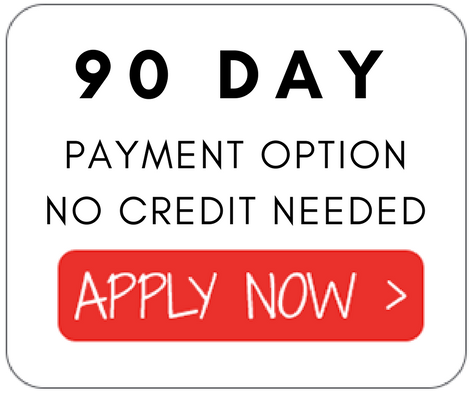 The Moon is available in black.